After ten years of leadership, Leo Dressel announced his retirement as of June 30, 2019. The Board of Trustees is deeply grateful to Leo for his leadership and commitment to educating our children from head to soul. 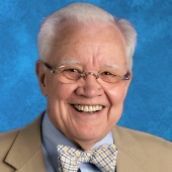 Leo joined All Saints’ Episcopal Day School in 2009 and has been instrumental in driving academic excellence, expanding the campus’ footprint, and cultivating the Challenge Scholars Program. He has accomplished this while boosting the School’s financial and enrollment health and bolstering the church-school partnership. Fortunately, Leo will leave the School well-positioned to find our next leader. The Board plans to announce our next Head of School this fall after a comprehensive search.